Oh my gosh. I nearly cried while watching this little YouTube gem. Now, I don’t know exactly what that says about me except for the fact that J.R.R. Tolkien and Peter Jackson and The Lord of the Rings stories (in both book and movie form) were a monumental part of my life growing up, and the idea of being able to extend those moments and passions into another masterpiece is both emotional and inspiring. There’s been such a disconnect between rumors and truth when discussing the making of The Hobbit, but finally, finally, production and filming has begun (and with Peter Jackson at the helm once again). To my sheer delight, I discovered this production video blog (introduced by the brilliant PJ himself) which is a tiny behind-the-scenes look at the making of the film thus far. And the best part: the “To Be Continued…” at the very end; it looks like the production team intends to keep these little video blogs up over the course of the project. Let us hope. 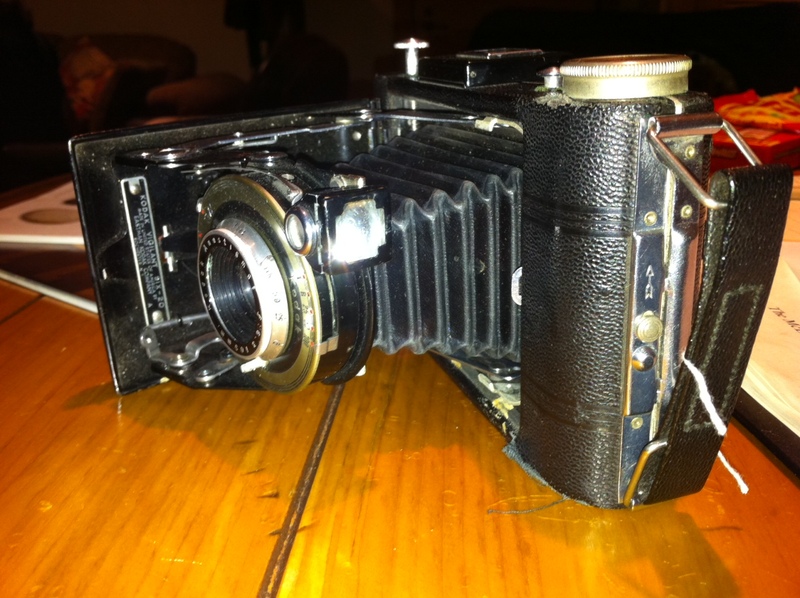 I am pleased to announce that I have recently acquired a vintage camera. This specific kind of ancient treasure, I will readily admit, is something that definitely sort of fits me (I positively adore all things antiquated) but not something I genuinely pondered or wished for. I happened to stumble across the opportunity and the piece, as one often does, in an antique shop in Gatlinburg. I studied the camera, admired it to the shop owner, and wandered out of the store. Thirty minutes and lots more arts & crafts community shopping later, we went back. I sauntered back through the door, and in response to the shop owner’s reasonably surprised/confusing expression, I said, “I want it. I have to have that camera!” And it’s true. I would have been thinking about it and kicking myself over passing it up for weeks afterward. And now, I’m gladder than ever. Doing the research to figure out a) what year it was made, b) whether I can get it to work, and c) where I can buy/develop film has been a pretty adventurous process. 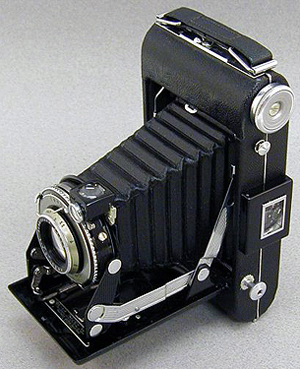 My findings so far have revealed that this exact model – the Kodak Vigilant 620 – was produced by Kodak from 1939 to 1949 and was originally sold for $38. There were a number of shutter attachments available; I’m pretty sure the one I now own came with the Flash Dakon shutter. 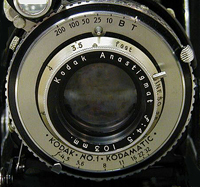 “The Vigilant Six-20” produced a 2¼×3¼ inch image on 620 film, which is still available for purchase, even new. Most of the information I gleaned from Camerapedia… a very helpful site, and I discovered that a site called B&H has both B&W and color film for sale by the roll. 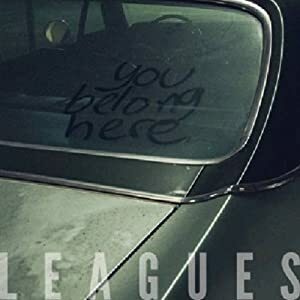 I think this film available from Amazon is compatible as well, but I need to do a little more research to confirm that. This guy’s website was also a pretty cool place to read about my new camera. How exciting, though! 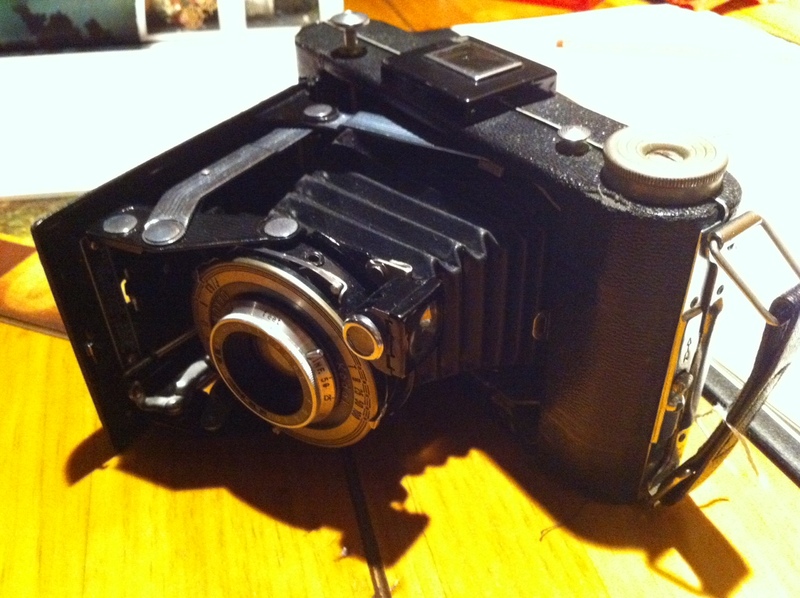 I get to take it into a camera shop and discuss repairs and clean-up and possibilities! How fascinating that a mechanical object made SEVENTY years ago is still around and still working today. Today, a really sad thing happened. 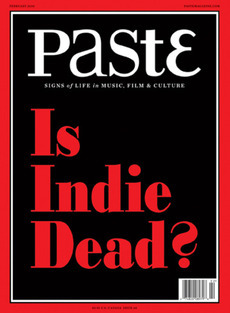 Paste Magazine closed its doors. I thought it was a joke at first, but I shouldn’t have. I mean, come on, an innovative, independent culture mag that isn’t afraid to take risks and express genuine opinions? How long was that really going to last? Paste‘s Twitter account (which is fortunately still up & running) kept me going through many a slow day at work with its relevant and intellectual pop culture focus. I felt like I got to know Josh Jackson, Rachel Maddux, Nick Marino. I have them to thank for introducing me to Frontier Ruckus and Menomena, talking me into Wolf Parade and The Love Language, informing me about Band of Horses and Mumford and Sons. The staff loved Lost and Mad Men and Modern Family. They wrote about composers and directors and authors. I always sort of imagined what it would be like to work there, set it up as a bit of a dream job. And now what? Everything has changed. The official word is that Paste is not actually gone for good. The physical publication is finished. 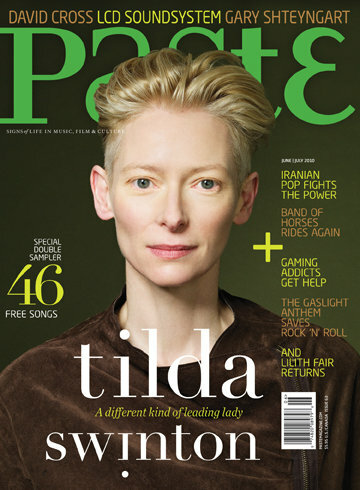 From now on, into the foreseeable future, the magazine is a purely online publication, which is something that’s been happening a lot in our time, but also something I never liked for Paste‘s future. I enjoyed taking a copy or two with me on a plane; I liked the stack piling up on my coffee table. I liked that the editors didn’t seem to have some obnoxiously blatant political agenda (Rolling Stone, I’m talking to you). 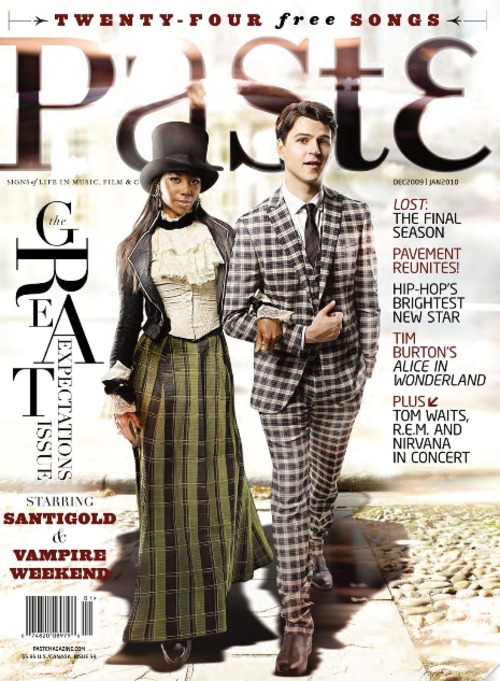 Paste‘s mission was to unearth real talent, to showcase the independents, and to glorify wit and high art. I am proud to have been a supporter Paste over the past few years. I like what they’re about, and I’m sorry to hear that they’ve not been as wildly successful as I believe they deserve to have been. But it’s not the worst thing in the world. Paste is still out there, and all the more, there are still thousands of people who care about its future and remain loyal to its ideals. 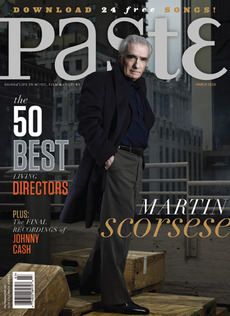 I wish all the best to the employees that poured their lives into this publication and lost their foundation today. Thanks for being amazing. And to those still making it happen online, thanks for pulling through. It’s worth it, I swear.